Anyone have any experience with 2015-2019 ford f250 paint quality? Thread: Anyone have any experience with 2015-2019 ford f250 paint quality? Thinking about getting a 2017-2029 but possibly 2015-2019 Ford f250. I was wondering what the paint is like. I like darker colors but if it's swirl city or marrs easily, I'm going lighter. Has anyone experience correction on the newer paints? Re: Anyone have any experience with 2015-2019 ford f250 paint quality? It depends on a ton of issues, has the dealership touched it, how do you take care of it, what is the factory using? They change clears all the time. All you can do is go look at them wherever you deal at and see one molested and one not? Truthfully nowadays with thinner paints, it’s all about just improving the visual looks and not about a heavy correction. 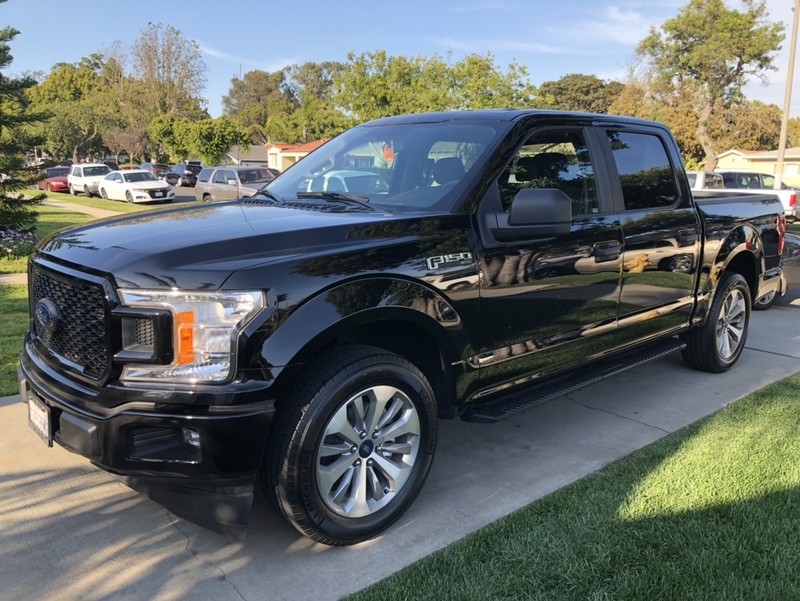 My brother bought a 2019 black Ford F 150 and if and when I decide to wash it it’s usually waterless. The rest of the time I think he takes it to the local hand car wash and it isn’t all swirled up yet which leads me to believe that the paint isn’t overly soft. It’s not perfect, but it certainly isn’t what you would call swirled up at all. The paint quality is good but not as good as my brothers 2018 black Jeep Cherokee which feels more robust and just seems like there’s more paint on there. But at least it isn’t soft so can’t really complain. Thanks. Yeah, I'm not chasing perfection. I just didn't know if the paint was soft and would take a lot to keep it decent. We have a 2015 dark gray metallic paint. Nice paint. I went 18 months with no LSP, just careful washing. No scratches or swirls. Nice paint. The piano plastic pillars...not so much. Look at them wrong and you scratch them. A good coating helps quite a bit with those. I have owned about a dozen new vehicles- from the big "3"
Wow Dave, 18 months with no LSP in Texas!!! Are you one that believes the the clear will protect the color coat from fading? By ShineTimeDetail in forum Ask Mike Phillips your detailing questions!